Gain clarity and practical strategies to live a purposeful and meaningful life. Communicate positively and effectively with family members, friends, colleagues and employees. Set personal boundaries to keep yourself safe and protect your energy. Honor your spirit with reflective activities. Develop your inner qualities to live with purpose, mindfulness, hope, authenticity, joy, and peacefulness. 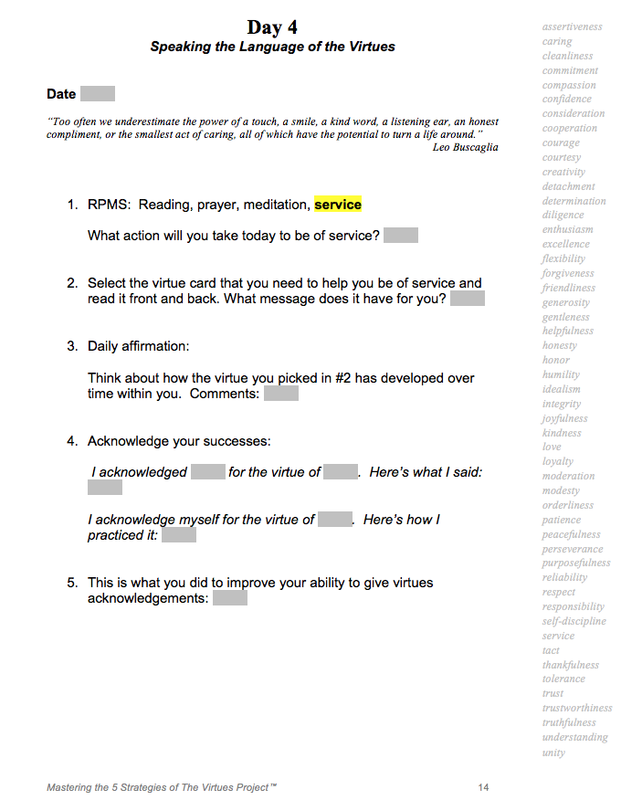 All Virtues Training courses and webinars result in personal growth. We always have opportunities to grow our virtues, to reflect on the meaning and purpose of our lives. Check out A Pace of Grace and the books, cards and journal on the Shop page. More than 9 out of 10 Virtues Training participants said that Virtues workshops, webinars and materials have made a profound, transformative, and lasting difference in their lives. Sign up today for Introduction to The Virtues Project Online Course. The last 3 days have been an indescribably awakening, spiritual and inspirational experience for me. Thank you SO much.